Pécs is the city of Mediterranean atmosphere It is a treasure-house of science, arts and sacrality. It had famous and glorious periods but it was also demolished and destroyed, but it still developed in the course of centuries just like the geological layers are built on one another. Several values of the Roman times, the Middle Ages, the Turkish occupation and the development of the middle-class are built on one another or next to one another such as Gothic, Renaissance, baroque dwelling houses, Christian churches and Islamic houses of prayer, djamis and minarets, baths and public buildings. The heritage of the past goes back to the neolithic age. The territory always provided good essential conditions for the different ethnic groups who settled down here, which is proven by the arcaheological findings excavated here. Most relics date back to the Roman times. Pannónia was one of the provinces of the growing empire, the town of which called Sopianae - the predecessor of the present-day Pécs - was characterized by busy life. This period of early Christianity is evoked by the Roman and early Christian relics and painted crypts that were excavated around the Cathedral. The early Christian cemetery complex, the size and richness of which is the second most significant after the Italian necropolises, was registered in the list of UNESCO World Heritage in 2000. After the period of migration, St. Stephen founded an episcopate in Pécs around 1009. Due to the economic and cultural development of the settlement, Pope Urban signed the foundation document of the university during the reign of Lewis the Great, in 1367, - consequently the town of Pécs became the seat of the first university of Hungary. The University of Pécs is still a dominant cultural and scientific centre. 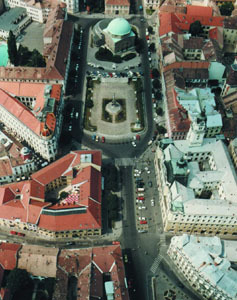 The development of the city was shown by the foundation of new factories, too: the Zsolnay ceramics, the Littke champagne and the Angster organ became world-famous. The city of Pécs mainly attracts visitors owing to its intellectual life, cultural, historical relics and its special style. It will deservedly bear the title "the Cultural Capital of Europe" in 2010. It is famous in Europe for its museums, rich art life, art festivals and artists. Outstanding museums of Pécs include the Treasury of the Basilica of Pécs, Janus Pannonius Museum, Exhibition of Ethnography, Csontváry Museum, Vasarely Museum, Amerigo Tot Exhibition, Museum of Natural Sciences, Modern Hungarian Gallery I and II, galleries. In the city, which also hosts the National Theatre Festival, a lot of visitors have already tasted the gastronomic specialities and the famous wine of the Mecsek hills called cirfandli. 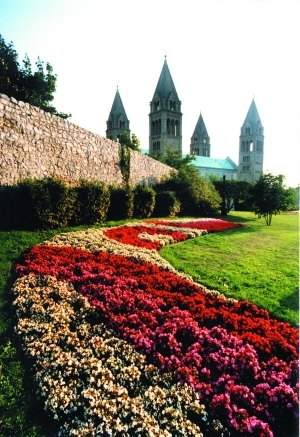 Pécs has exceptional qualities. This can be confirmed by the high number of visitors including business people, scientists, researchers, students, the lovers of history, arts and cultural programmes or tourists wishing to relax here.